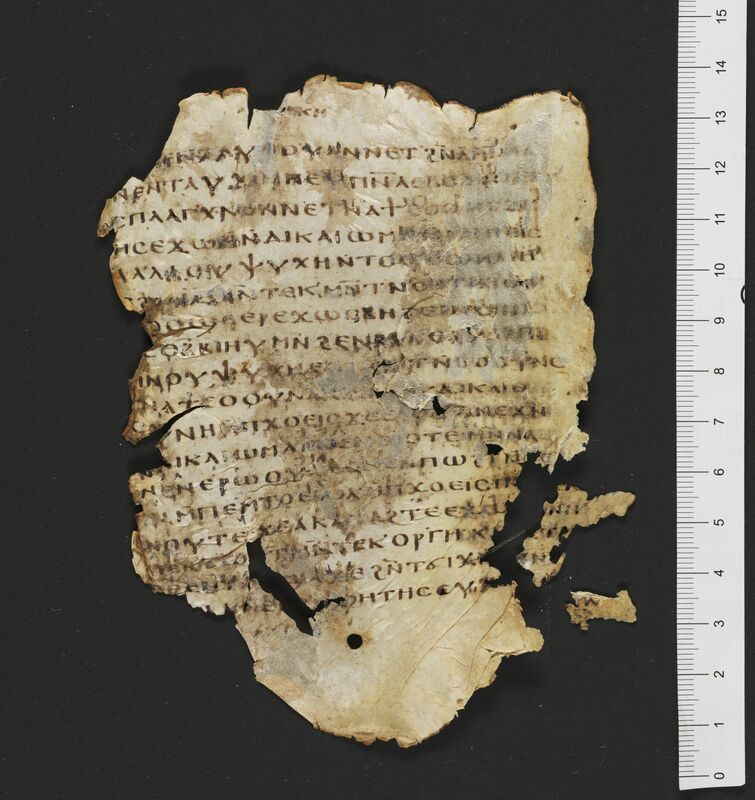 Parchment codex containing Jeremiah, Lamentations, the Epistle of Jeremiah, and Baruch in Coptic (Sahidic). 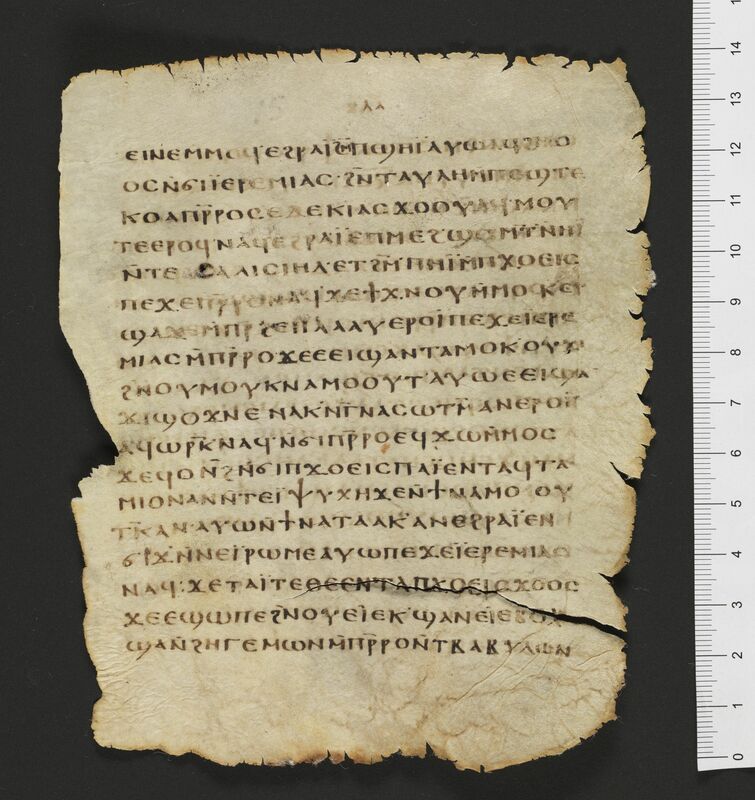 Description: P.Bodmer 22 is a portion of a parchment codex containing Jeremiah 40:3-52:34, Lamentations, Epistle of Jeremiah, and Baruch 1:1-5:5 in Sahidic. The other portion of the codex was purchased in 1955 for the University of Mississippi and was subsequently sold to the book dealer H.P. Kraus (Kraus, Cimelia, 126-127). It is now a part of the Van Kampen Collection (Orlando, Florida, USA). The text of Lamentations is remarkable for the presence of the names of Hebrew letters written out at the beginnings of sentences. CopistesOrsini describes the script of the codex as Biblical Majuscule and assigns it to his second phase of this script (Orsini, “La Maiuscola,” 131-132; “I papiri Bodmer,” 77). Dimensions: The width of the page is 11.6 cm. The height of the page is 14.1 cm. The ratio of the page (width/height) is 0.823. The writing is in a single column. The width of the written area is about 9.1 cm. The height of the written area is about 10.3 cm. There are 18 lines per page There are 74 extant folia. Quires: The entire codex is composed of nine quaterniones and one ternion. Quires 1, 2, 3, 4, 9 and the first leaf of quire 10 reside in Geneva. Quires 5, 6, 7, 8 and the second and third folio of quire 10 are in the Van Kampen Collection. Each quire is arranged in the classic method of flesh/hair, hair/flesh, flesh/hair etc. Paratextual features: The scribe uses various marks to signal subdivisions in the text including the coronis and forked paragraphos. To distinguish between larger breaks in the text the scribe uses a colon : or for larger breaks a double colon :: is utilized. To mark off important sayings or passages, the scribe will indent the left margin and use a diple to mark the spot (page 4). Each of the four texts is marked with a title that is set off by lines and small marks. Decorations: In the first four chapters of Lamentations, each sentence is introduced with the transliterated name of a Hebrew letter ornamented by little bars, and other marks. There are also some Hebrew letters drawn in the text. End titles are often surrounded with lines in a “zig-zag” pattern: /\/\/\/\/\. 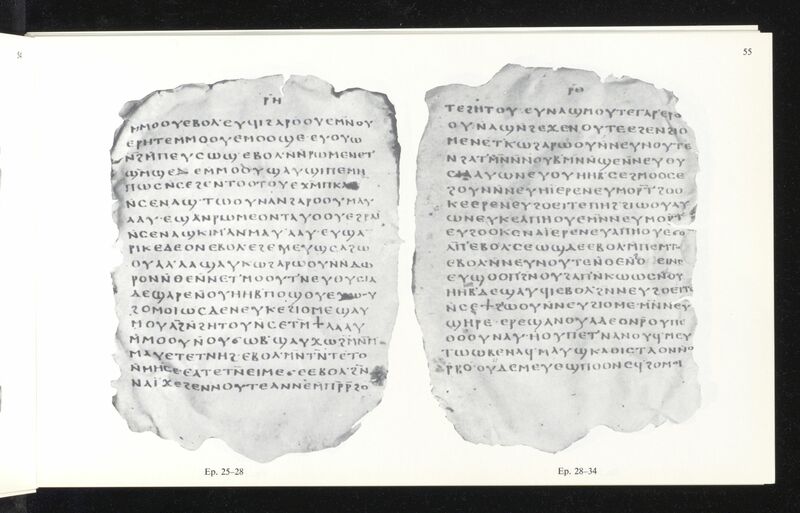 Other holding institutions: Van Kampen Collection, VK 783 (formerly University of Mississippi Coptic Codex II). RésuméParchment codex containing Jeremiah, Lamentations, the Epistle of Jeremiah, and Baruch in Coptic (Sahidic). Kasser, Rodolphe. Papyrus Bodmer XXII et Mississippi Coptic Codex II: Jérémie XL, 3-LII, 34; Lamentations; Epître de Jérémie; Baruch I, 1-V, 5 en sahidique. Cologny-Geneva: Bibliotheca Bodmeriana, 1964. Kilpatrick, G. D. “The Bodmer and Mississippi Collection of Biblical and Christian Texts.” Greek, Roman and Byzantine Studies 4 (1963): 33-47. Kraus, H.P. 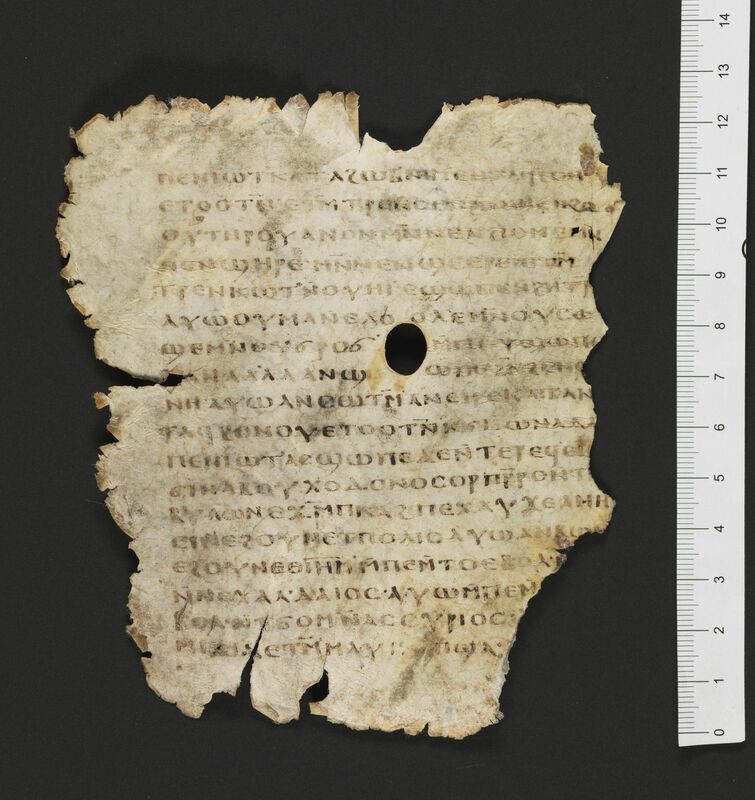 Cimelia: A Catalogue of Important Illuminated and Textual Manuscripts. New York: A. Colish, 1983. Willis, William H. “The New Collection of papyri at the University of Mississippi.” Pages 389-394 in Proceedings of the IX International Congress of Papyrology: Oslo, 19th-22nd August 1958. Oslo: Norwegian Universities Press, 1961.